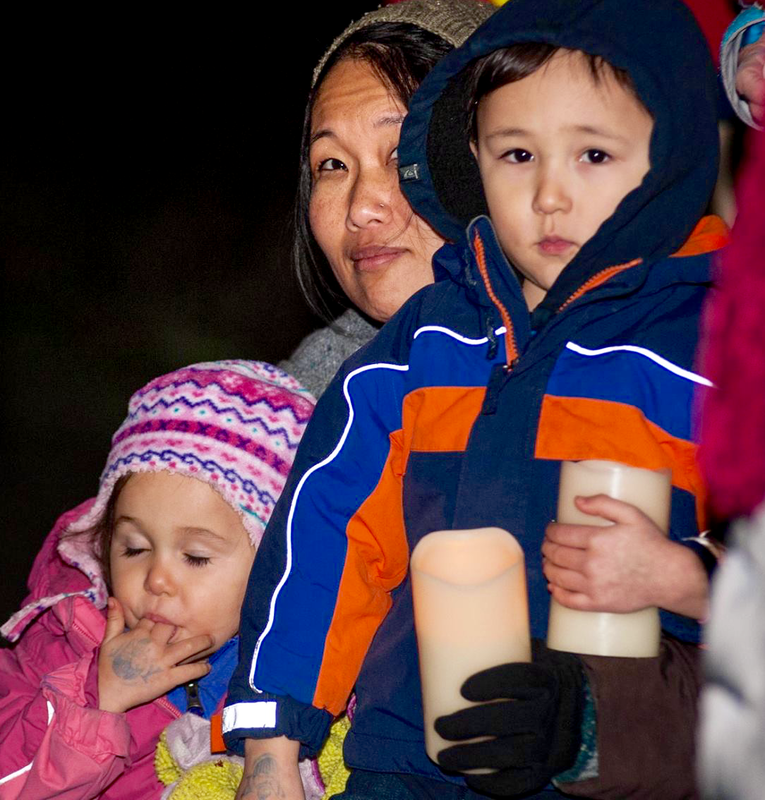 This is a 40-minute keepsake of high points from the unforgettable Monday Dec 14th nighttime community vigil in the 40-degree weather at the Bainbridge Island Japanese American Exclusion Memorial. It starts with a short interview about the meaning of the event with Clarence Moriwaki, one of the leaders of the Japanese American community, immediately prior to the ceremony. 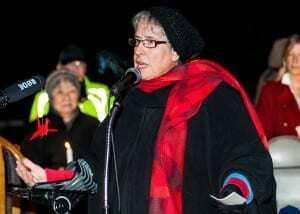 We meet one of the grass roots organizers of the event, Marsha Cutting. 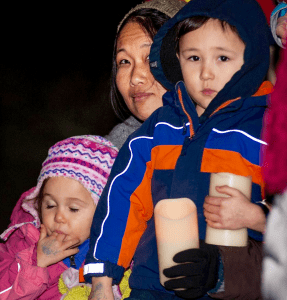 She created a Facebook group a few days earlier, which went viral among Islanders, calling for a vigil to protest the appalling and divisive remarks of fear-mongering politicians. The ceremony opens with Clarence Moriwaki reading a passionate humanitarian statement written by the vigil committee. 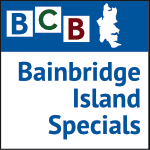 Listen to subsequent remarks by two state government leaders from Bainbridge Island – Senator Christine Rolfes, and Representative Drew Hansen. Resident Althea Paulsen read remarks from Sen. Patty Murray, and Ingrid Outland read a message from our Congressman Derek Kilmer. City Councilman Val Tollefson delivered a personal message. Mary Woodward spoke as the daughter of the principled editor of the Bainbridge Review who opposed the Japanese exclusion from our Island. 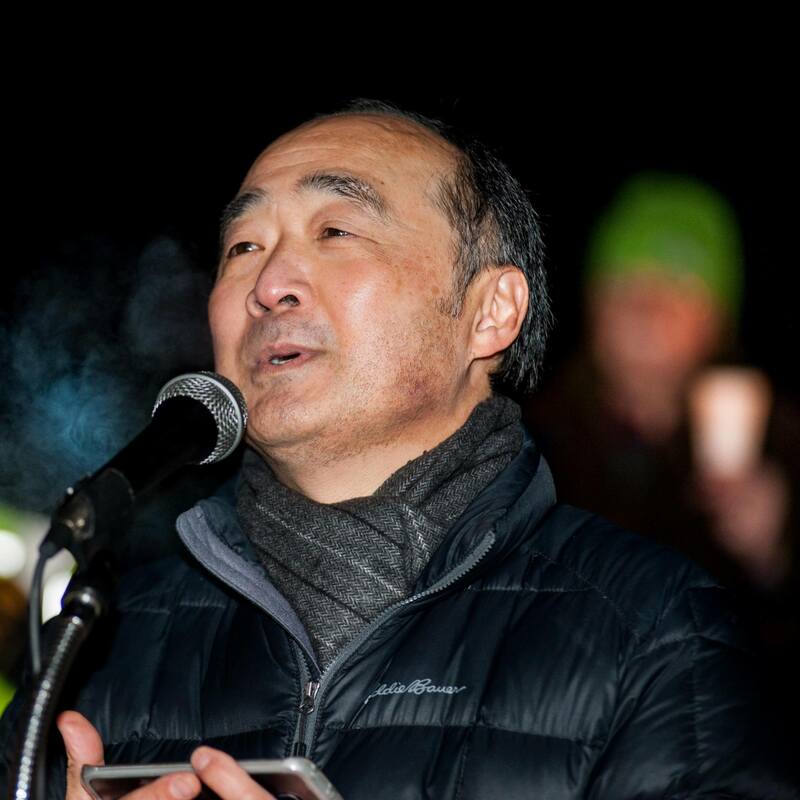 Clarence Moriwaki praised the humanitarian remarks of WA Governor Jay Inslee who hails from our Island. Also hear three speakers from the audience, concluding with Rector Tommy Dillon of Grace Church, who recited a favorite passage of scripture, from the Holy Koran. We also hear excerpts of music from representatives of the High School Band, singer Rick Barrenger, and a cappella singers from the Threshold Choir. Credits: BCB volunteers: Chris Walker, Reed Price and Barry Peters. Photos by David W Cohen.